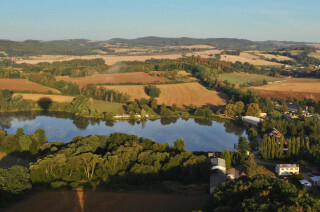 Just outside the bustling capital of Prague, hillside forests, lakes, and farms spread out across a serene countryside. 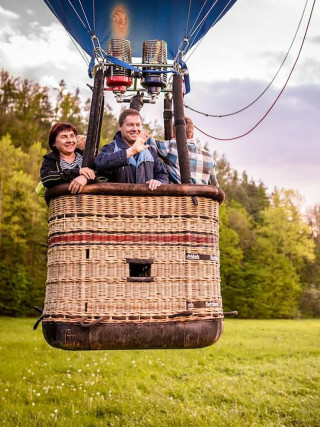 Enjoy the sensation of soaring through the air on a private hot air balloon ride for just you and your group. From your hotel in Prague, a shuttle takes you 40 minutes outside the city to the town of Benesov, dating back to the 11th century. Just outside this historic city, your takeoff area awaits. 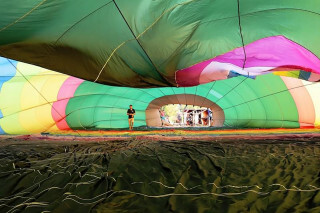 The guide fires up the balloon and the colorful structure inflates before your eyes. 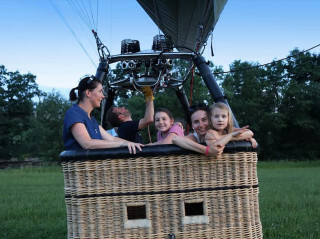 You and your group climb into the basket, the balloon lifts off, and the journey begins. Immediately you notice the grand Chateau Konopiste. First established in the 13th century as a Gothic castle, it passed from many aristocratic owners in the 1880s before landing in the possession of Franz Ferdinand, the heir to the Austrian throne. 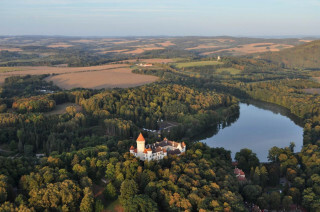 After many renovations, the castle acquired its current baroque style and enormous rose garden. After Ferdinand's assassination in 1914, Konopiste was owned by the Czechoslovak government during WWI before becoming a German SS headquarters in WWII. Fly high into the sky over the orange rooftops of Benesov. Beyond the town, you travel over the many lakes, forests, and grassy meadows around the area. 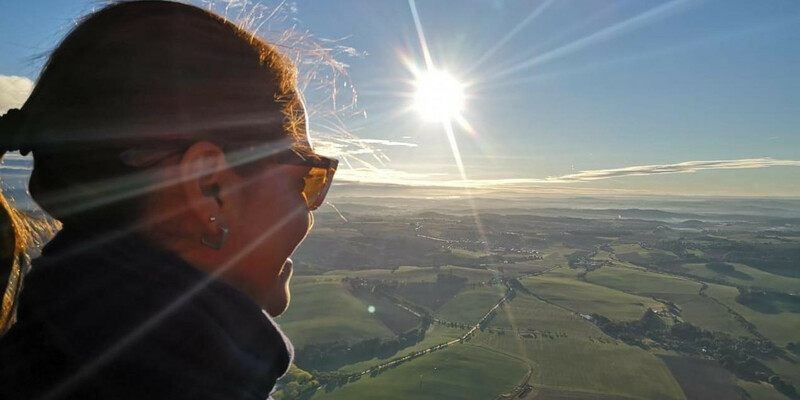 Flights only operate at sunrise and sunset, so the soft morning or evening light enhances everything you see. 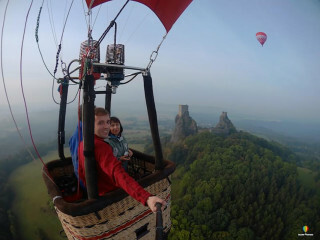 Throughout the 60-80 minute ride in the air, you have endless views and an endless smile. 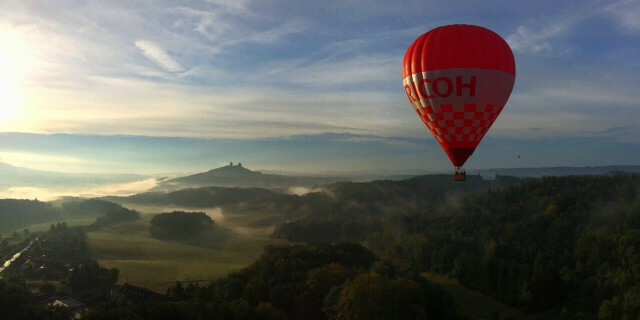 Climb onboard a hot air balloon ride of nature and history exploration. 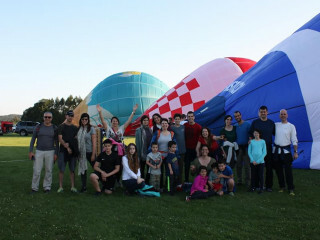 The balloon may be super hot, but the group will no doubt find the ride super cool.